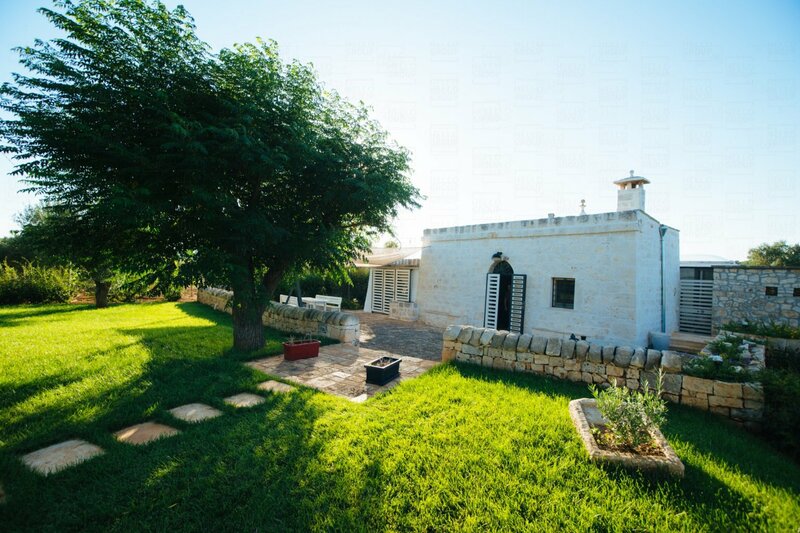 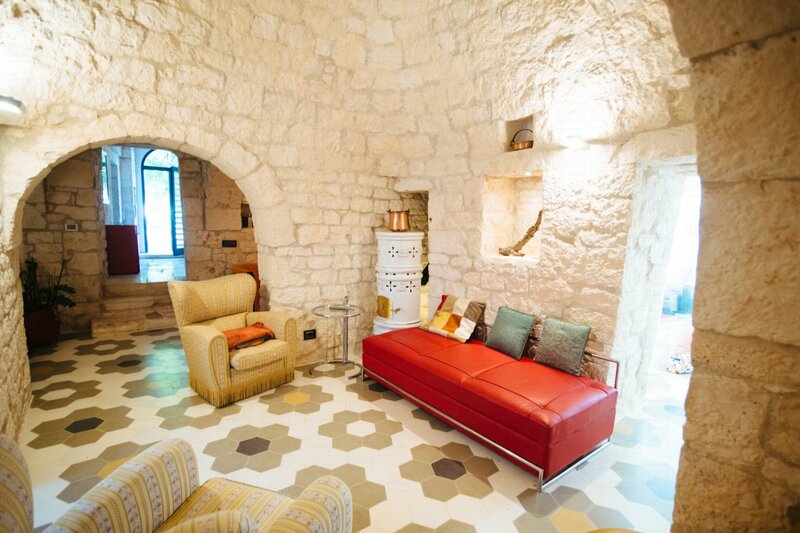 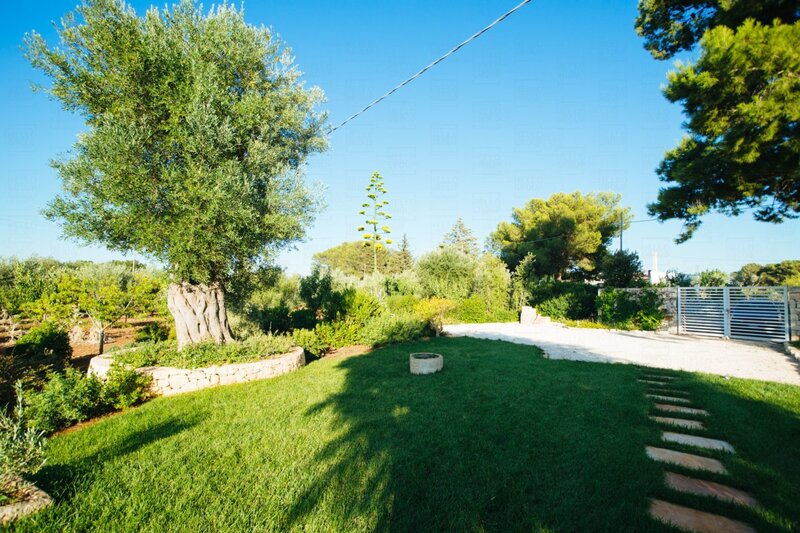 Trulli for sale located in the countryside between Ceglie Messapica and Martina Franca, in Contrada Marangi; at the Valle d’Itria entrance, surrounded by masses of centuries old olive trees and the most beautiful trulli and farms in the area. 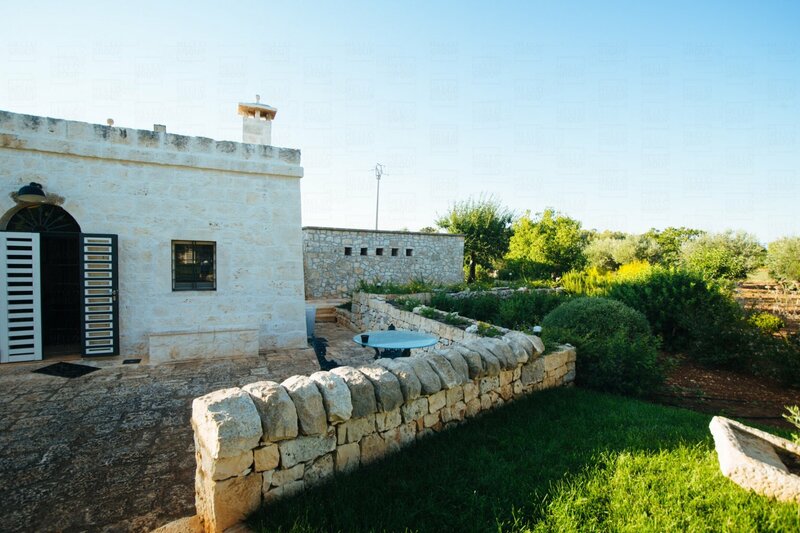 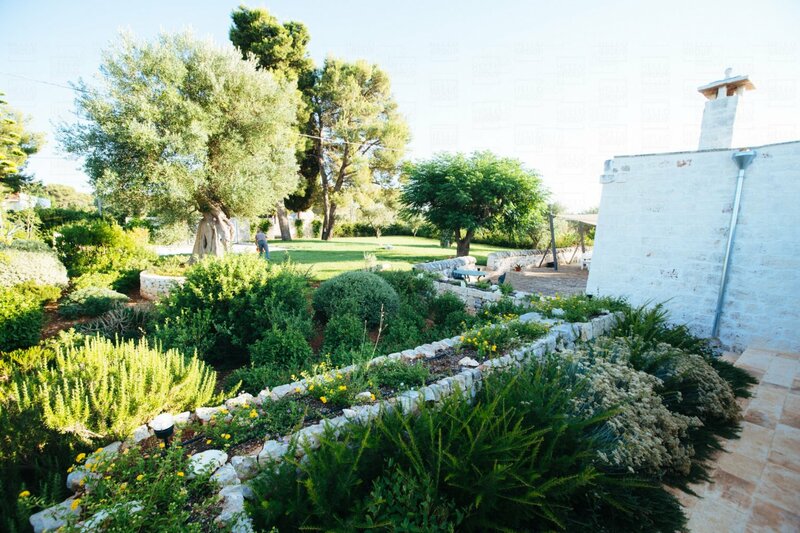 The structure which is built entirely of recovered stone, dates back to the 16thcentury and is located on a plot of land circa 1.5 hectares, enclosed by dry stone walls, with Mediterranean flora, olive and fruit trees and a large area of greenery and ornamental plants adjacent to the property. 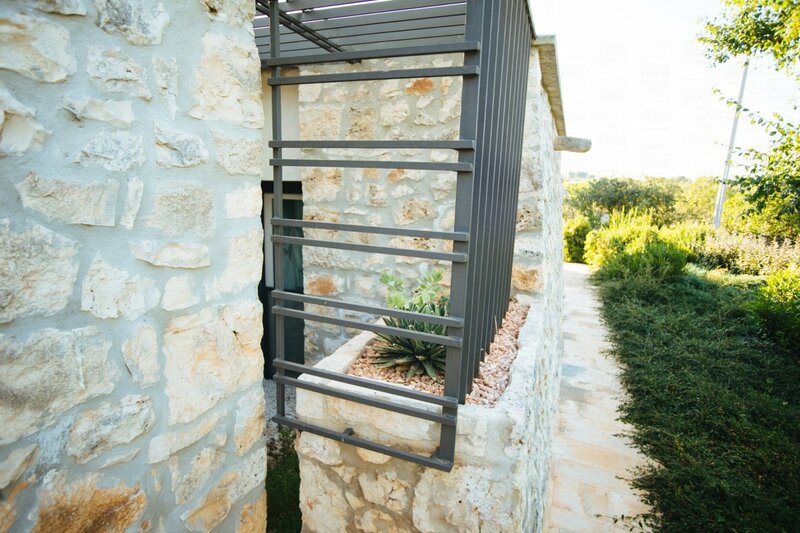 The wide barnyard in chianche placed in front of the entrance, partly protected from the sun by a modern and efficient shading system, together with the other outdoor spaces allows full enjoyment of the garden and access to the double entrance. 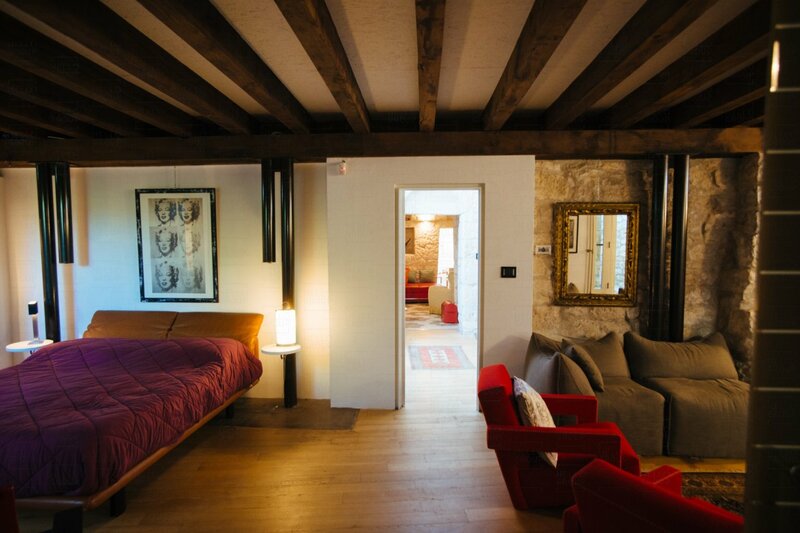 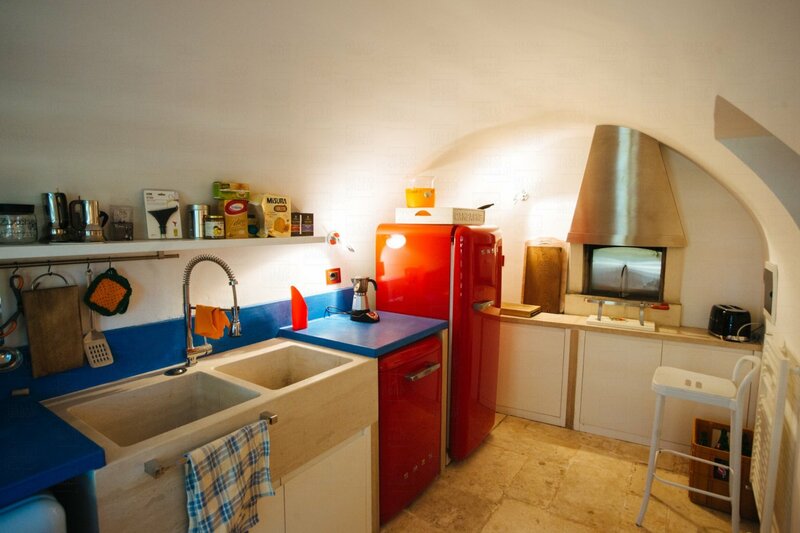 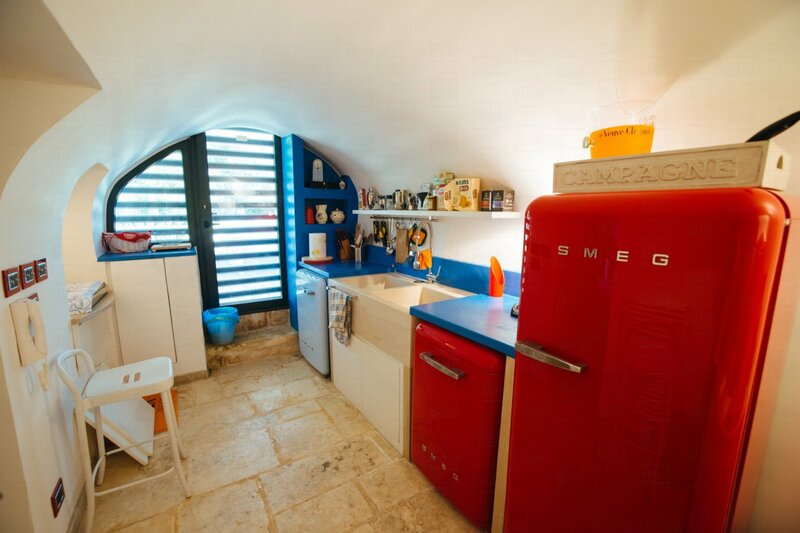 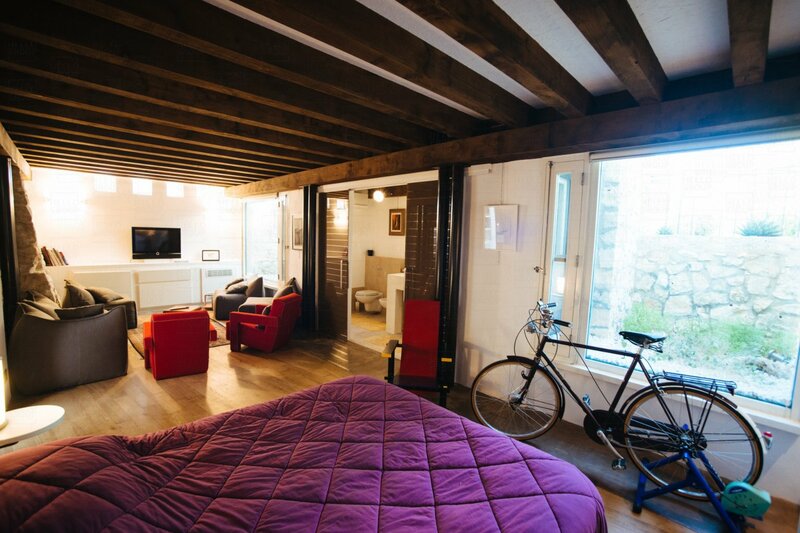 On the right there is a local kitchen which is fully equipped with an old wood burning oven. 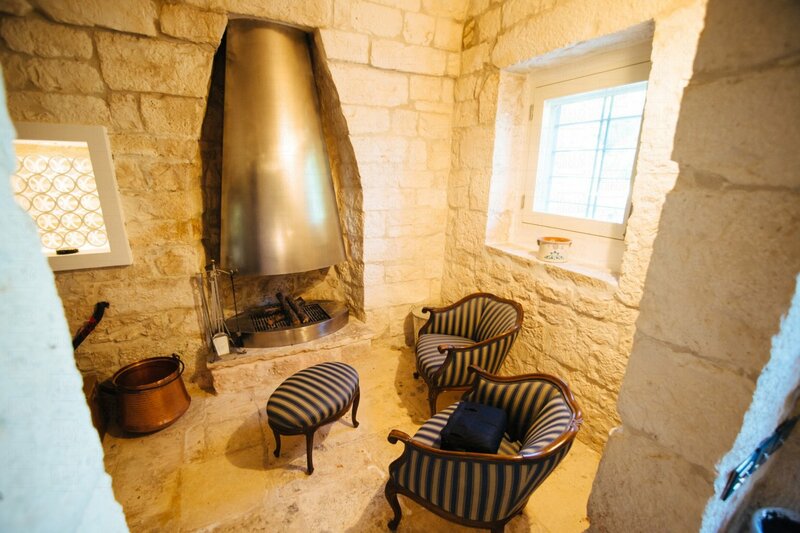 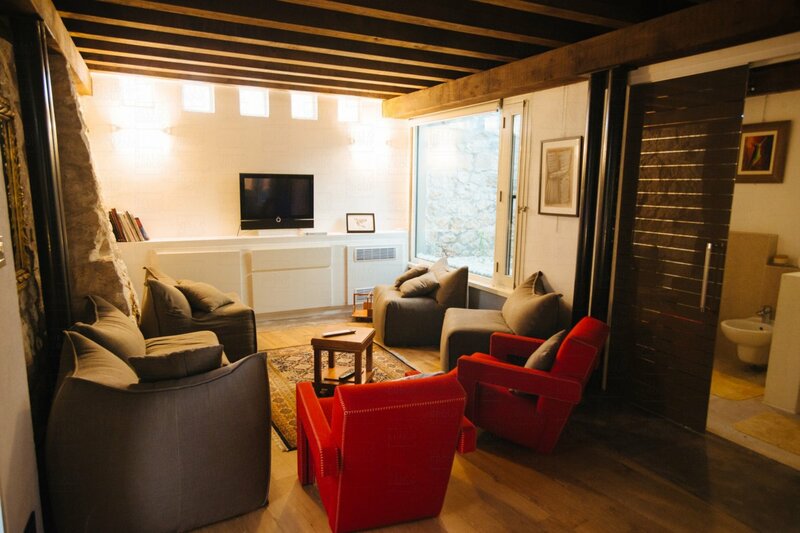 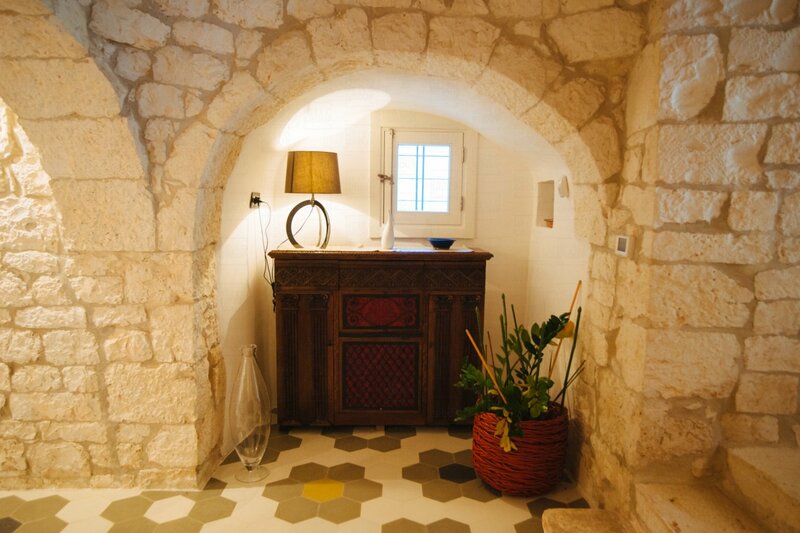 The main entrance leads into the lamia, a traditional rural building, from which two rooms branch off, one of which is used as a living area with fireplace, which represents the living and dining area of the property. 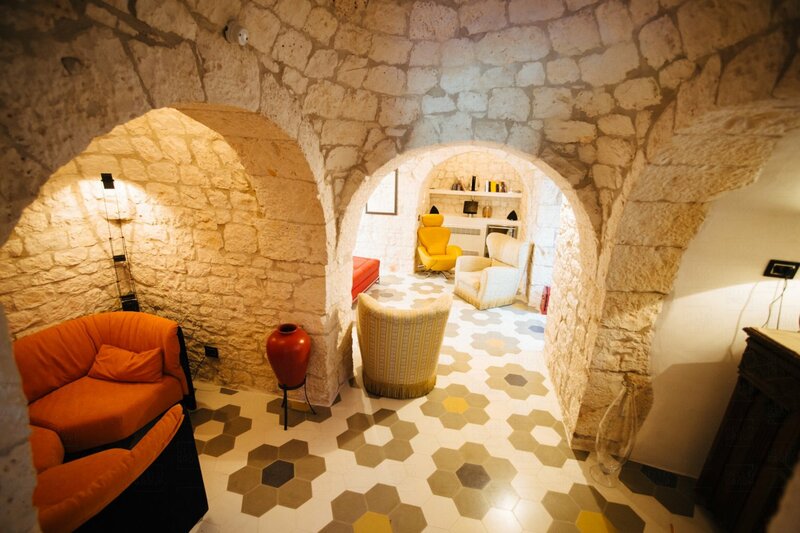 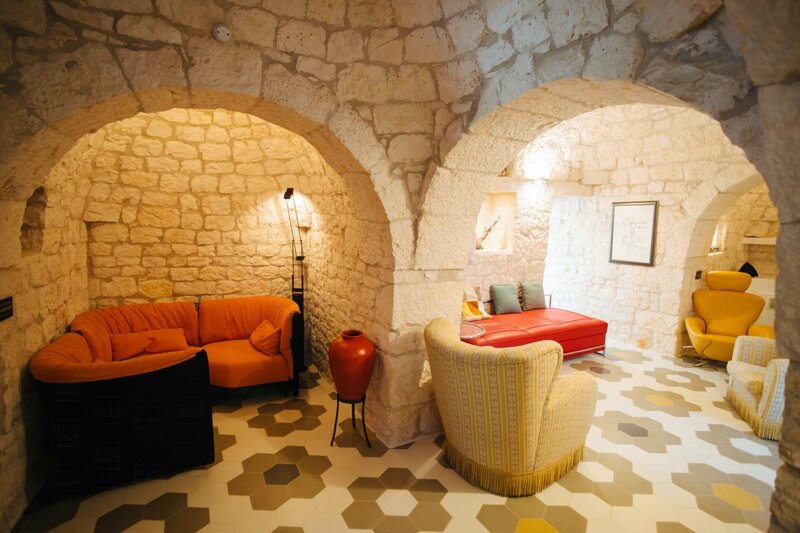 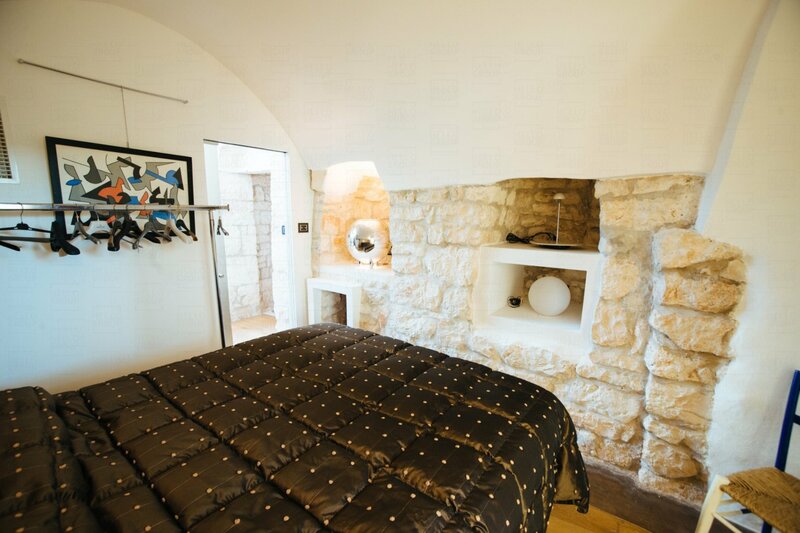 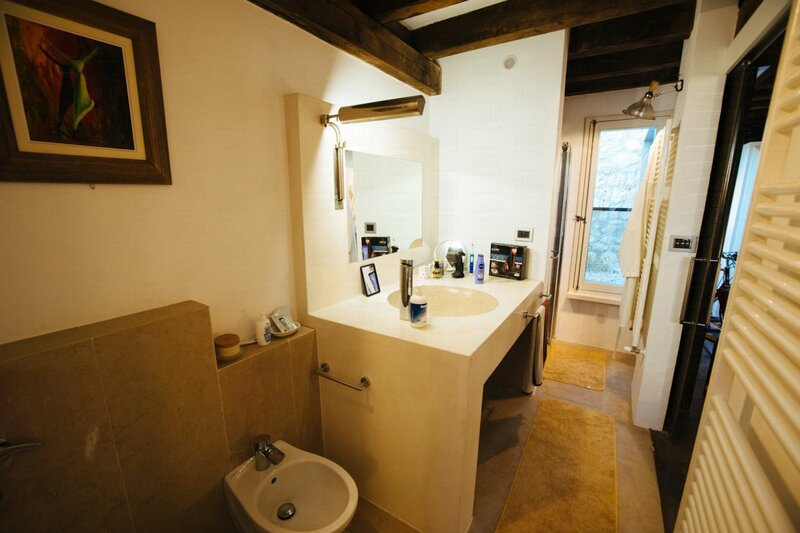 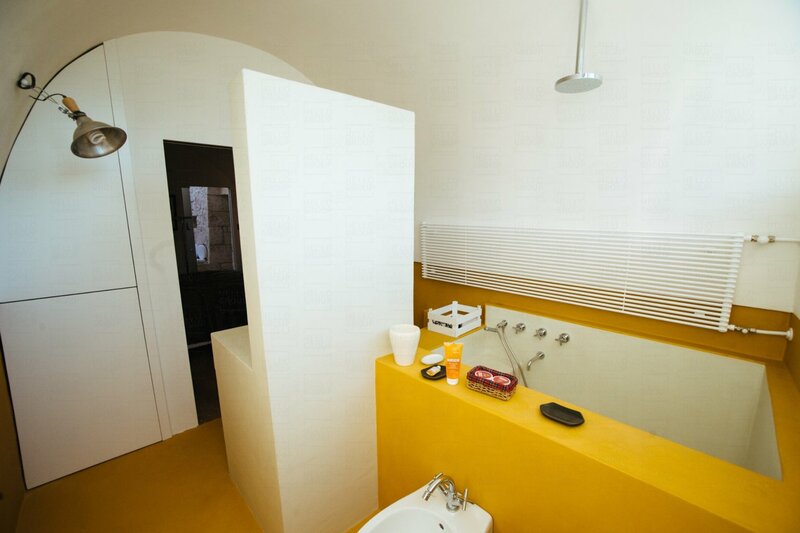 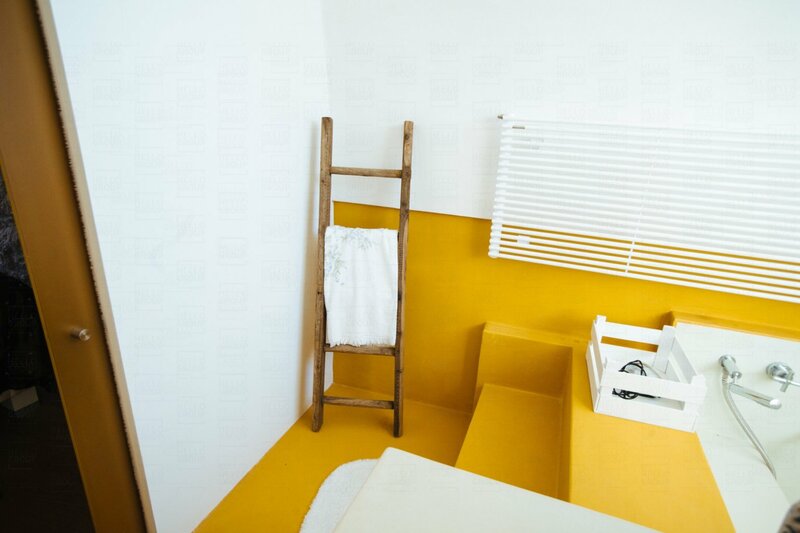 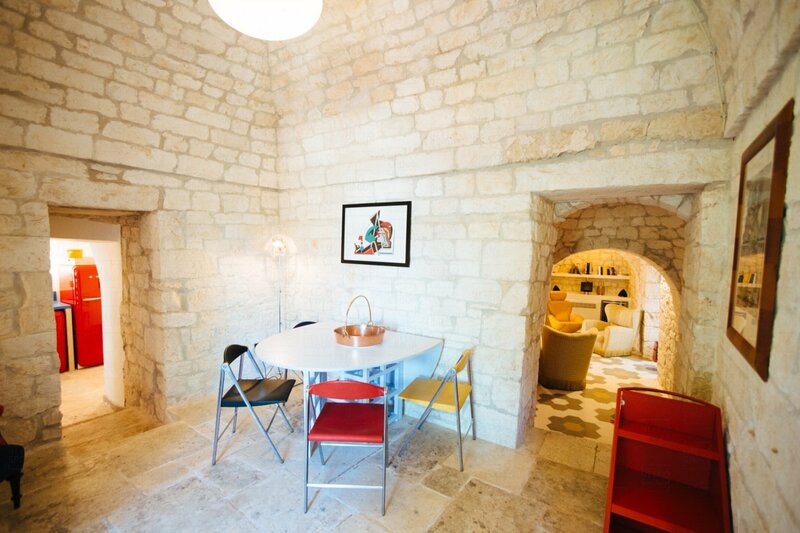 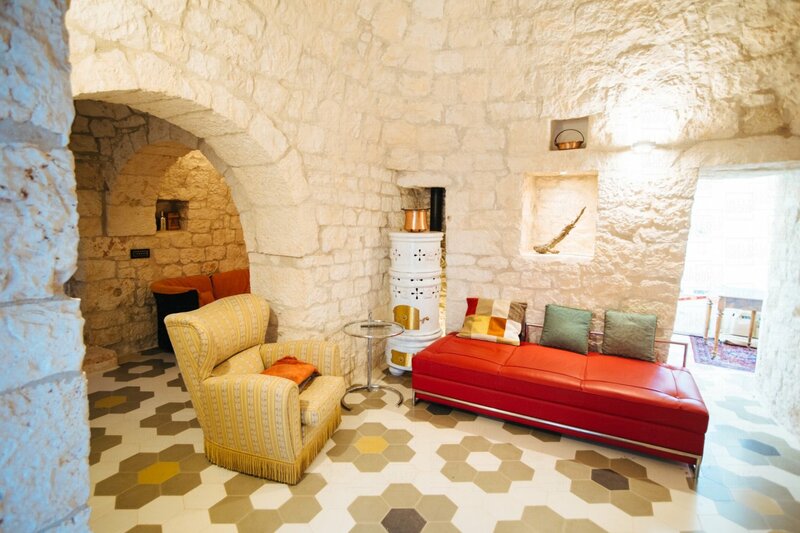 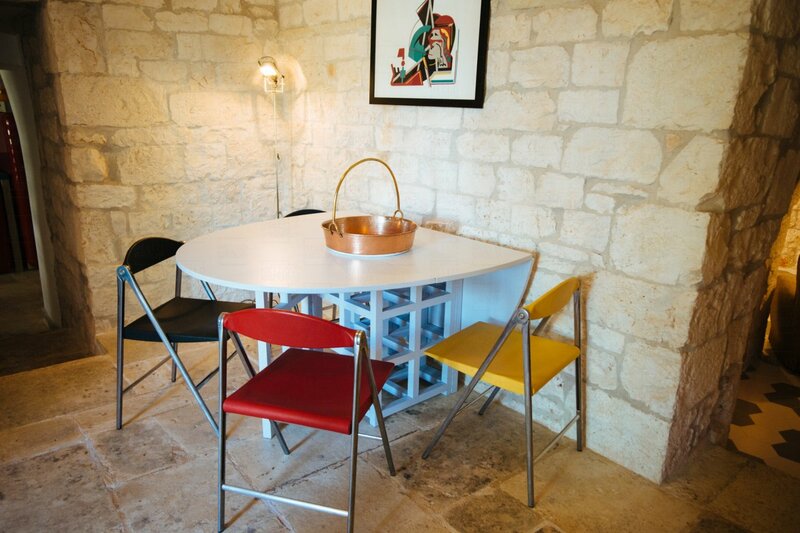 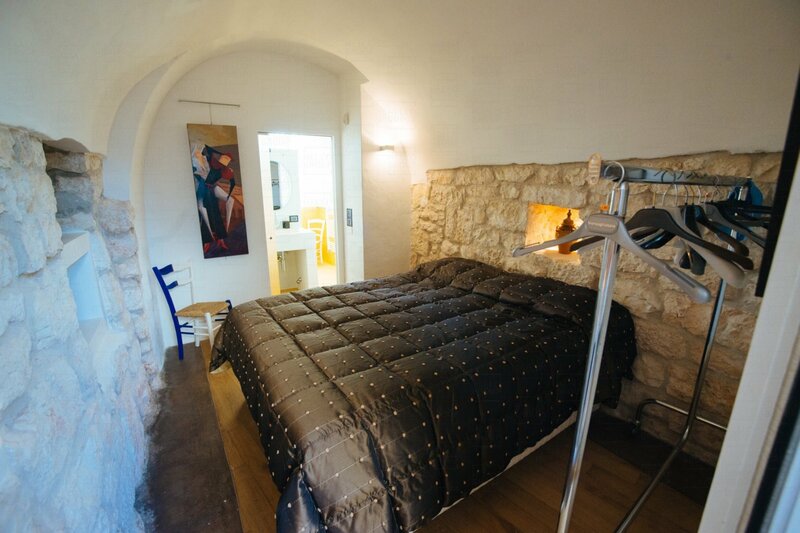 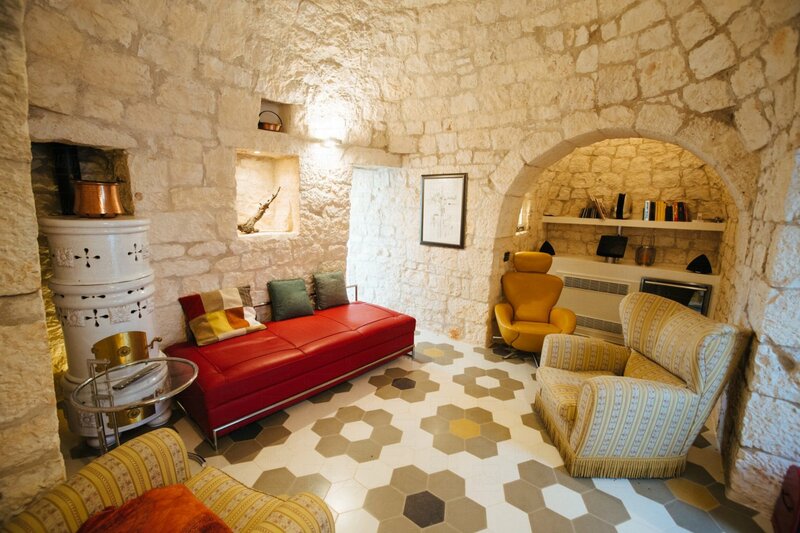 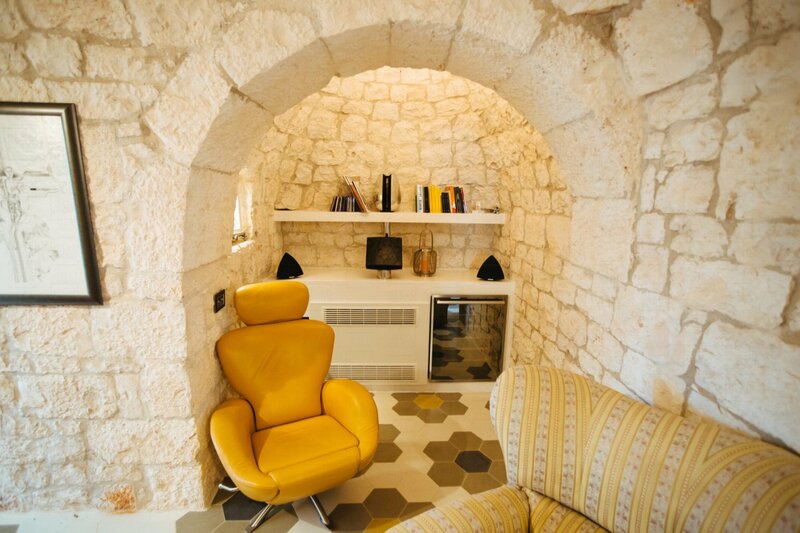 From the lamia we proceed into the trulli, where you are greeted by a small room which is currently used as a study and then the sleeping area which consists of two double bedrooms, of which the largest is approximately 40 square metters, and both are equipped with two beautiful bathrooms with shower and bathtubs, built entirely in masonry and Trani stone sinks. 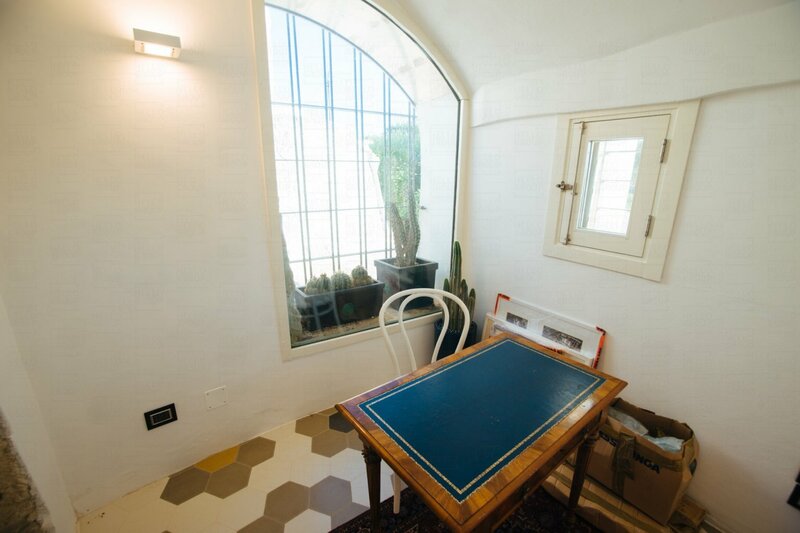 The natural lighting of the property is amplified by large windows. 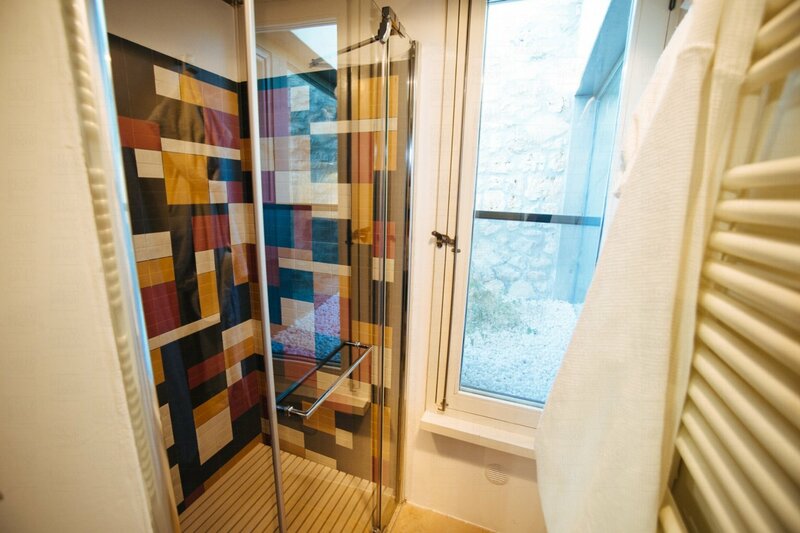 On the back of the building you find a utility room that is used for the storage of tools, and adjacent there is a shower area. 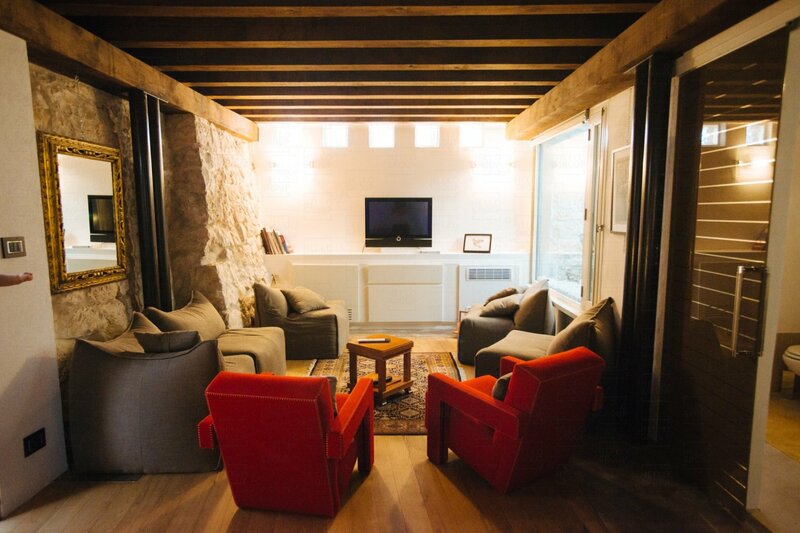 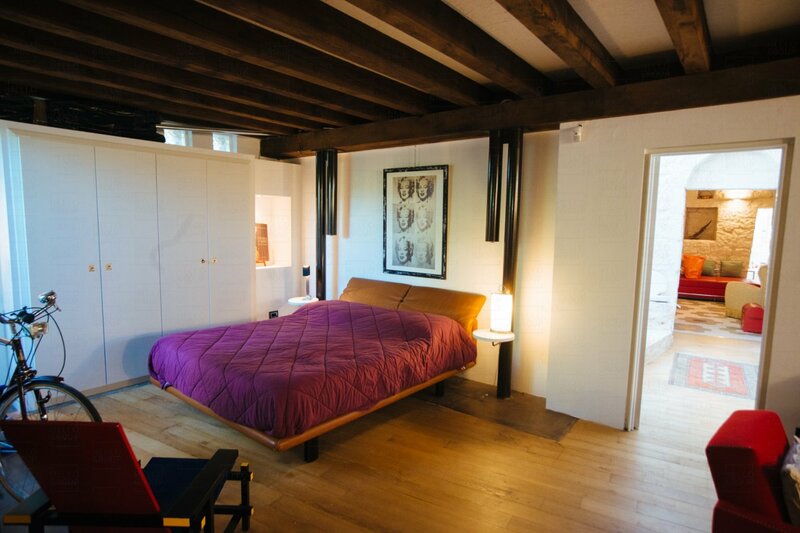 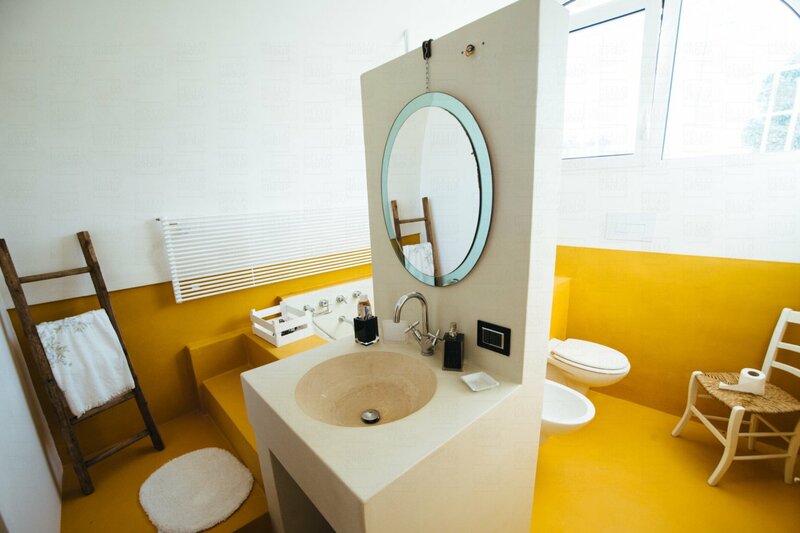 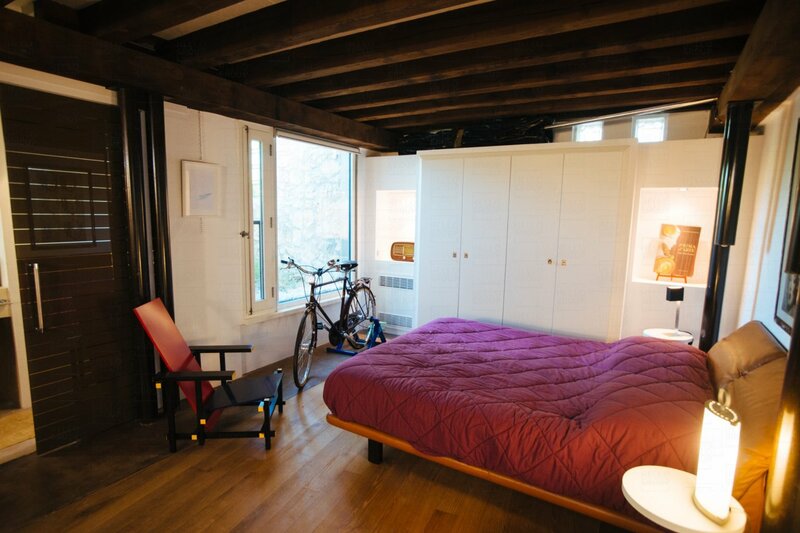 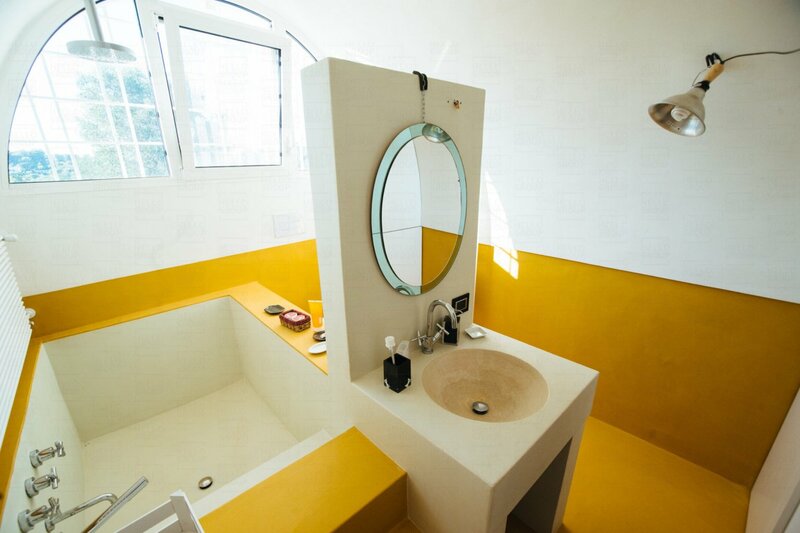 The entire property is characterized by refined finishes and the sophisticated choice of quality materials. 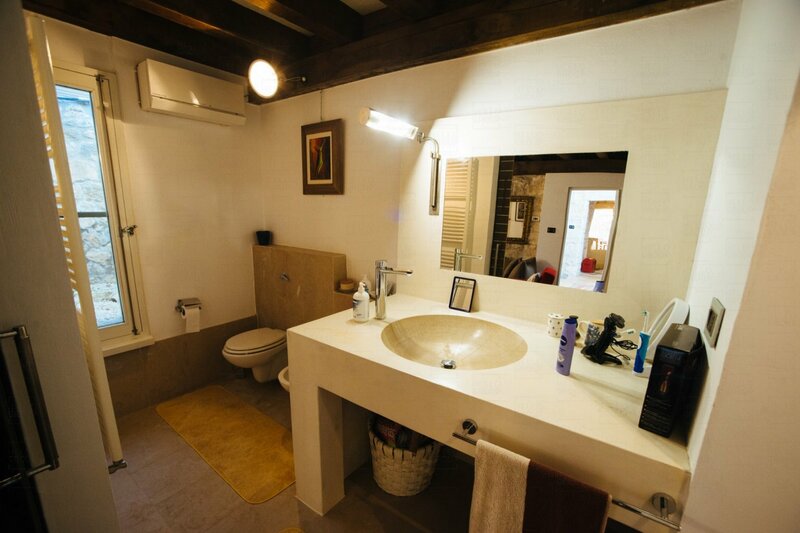 The reverse cycle airconditioning system is supported by heat pumps, while the artesian well guarantees the water supply, allowing an adequate automated irrigation of the greenery. 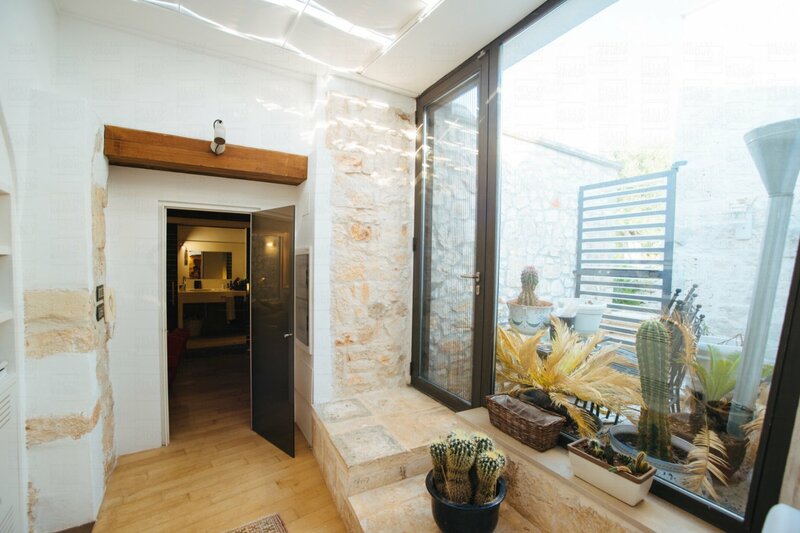 The alarm system and external video surveillance systems, currently connected to the Supervision service, the wifi and the satellite TV completes the systems. 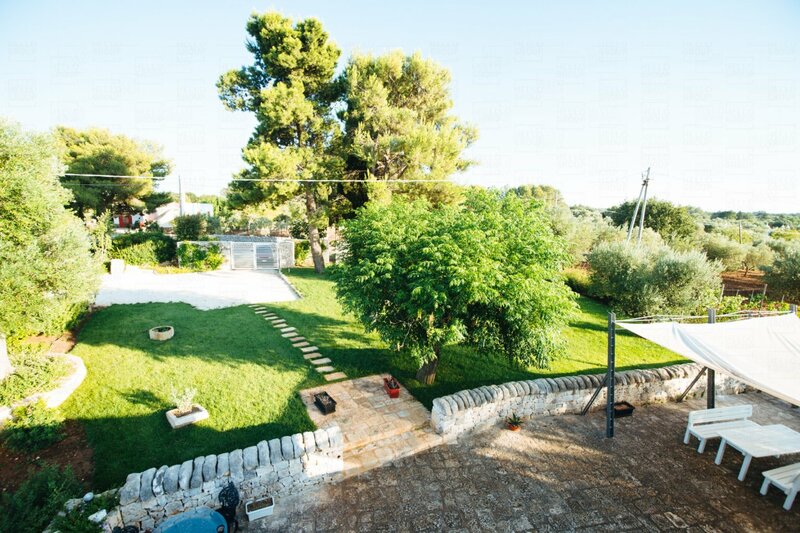 The property has a building permit for the construction of a swimming pool. 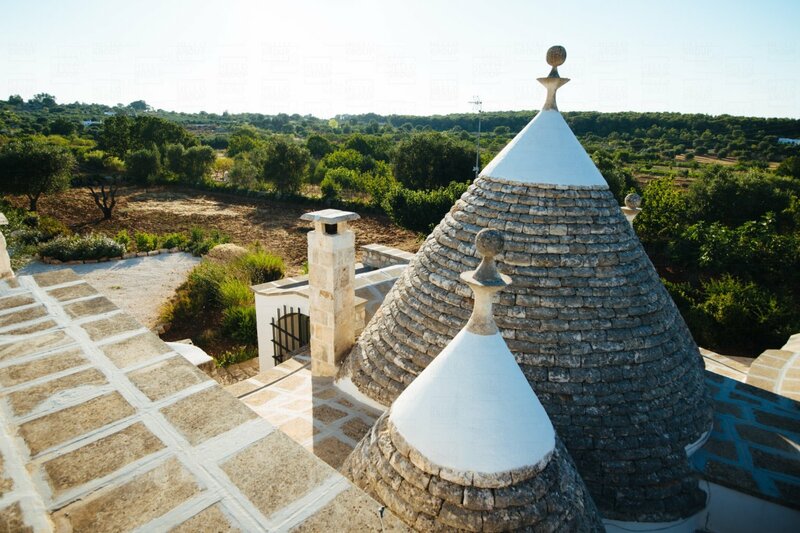 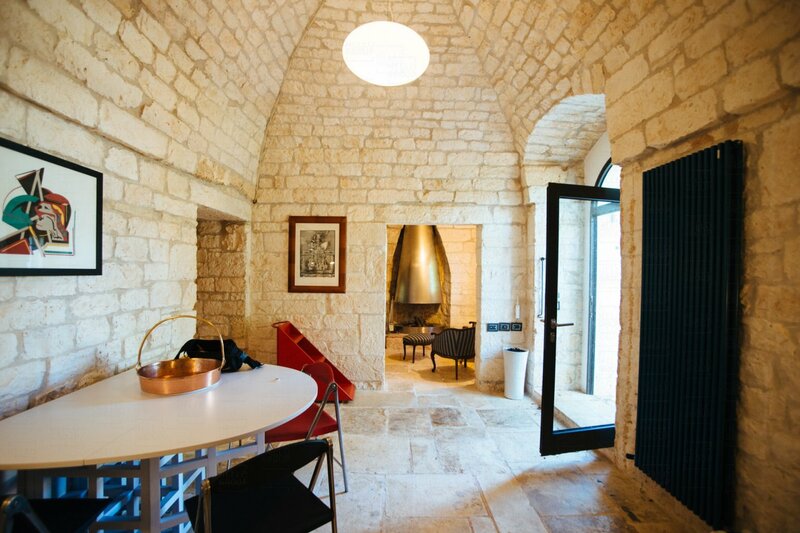 This finely restored trulli, complemented by the greenery, the olive trees and the scents of Puglia are the main characteristics to this marvellous structure. 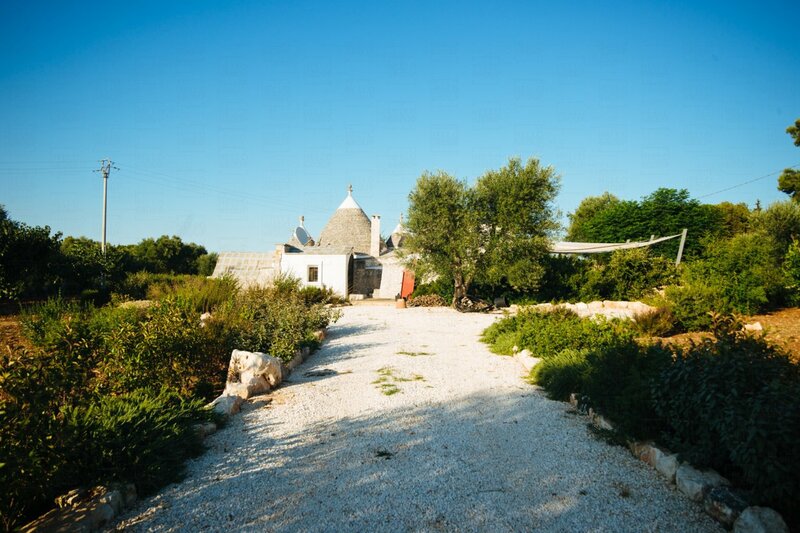 Immersed into the countrysie but located in a strategic positioin to reach both the Adriatic and Ionian costs, this trulli represents the ideal investment for those looking to purchase a Holiday Rental in the area with the view to obtaining an excellent ROI and capitalizing on the constant demand for tourism in the area.